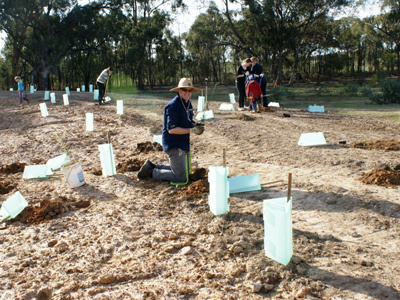 How Much Revegetation is Enough? This project forms part of a pioneering trial with Deakin University and the Goulburn Broken Catchment Management Authority. The trial aims to measure the response of fauna (birds in particular) to landscape scale restoration activities. This trial is the first of its kind to be attempted at a landscape scale. The Gecko CLaN is delivering revegetation incentives in target areas. This ‘How much revegetation is enough?’ project builds on the 2002 project ‘How much habitat is enough?’ That project showed that when there is 10% to 30% remnant native vegetation cover in landscapes bird species diversity increases greatly. This project aims to find out if revegetating a landscape to increase vegetation extent and connectivity will also increase bird species’ diversity. Does revegetation attract declining bird species and therefore increase the species chance of survival? How many birds are attracted to revegetation as habitat that weren’t in the landscape previously? Can increasing vegetation extent through revegetation conserve all of the species that were here before settlement? What conservation value is there in the current landscapes that contain some remnant vegetation and revegetation areas? Can these ‘new’ landscapes conserve all the species that were here before settlement? Perhaps surprisingly, the real value of revegetation in conserving biodiversity in landscapes is largely unknown! The Gecko CLaN will deliver revegetation incentives on behalf of the Goulburn Broken Catchment Management Authority, with funding from the Clean Energy Future, and other Australian Government funding, as well as State Government funding. 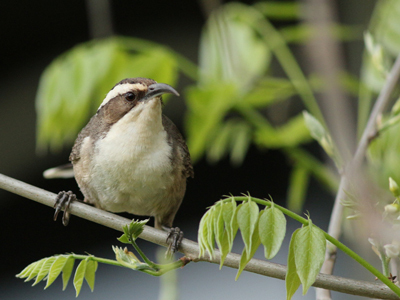 To begin to understand the values of revegetation for biodiversity (using birds as a surrogate measure), the Goulburn Broken CMA is working in collaboration with Deakin University’s Landscape Ecology Research Group on a project that aims to identify the response of birds to landscape-scale revegetation activities. An experimental approach is being used to determine the value of revegetation in a way that has not occurred anywhere else. Like any experiment there are things, in this case landscapes, that get a treatment (in this case revegetation) and others (‘Reference’ landscapes) that do not. This approach is used so that we can compare between ‘treatment’ and ‘reference’ landscapes to determine the value of revegetation in achieving a desired result, which is to increase biodiversity. Twenty study ‘landscapes’ (10 × 10 km in size) have been identified, with each pair of landscapes (‘treatment’ and ‘reference’) having a similar amount of existing tree cover and vegetation types. Why are we carrying out these experiments? 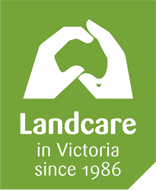 We require the good will of landowners to fence off and revegetate areas of their farms. There is limited funding for these activities so we want to get the most out of the funding that is available. The information gained from this experiment will allow us to provide information to farmers, the community and funders about the actual benefits of revegetation, how much area we will need to revegetate to conserve as many species as possible and the best ways to carry out revegetation. 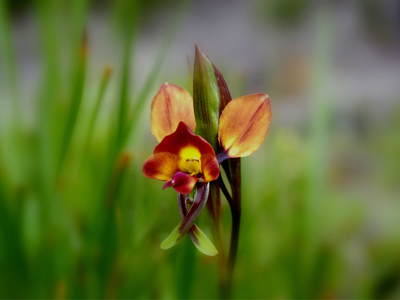 The findings can also guide restoration works for individual species of conservation concern. However, getting meaningful results is likely to take many years because it will take a while for the revegetation to grow into suitable bird habitat. Bird surveys are carried out in both treatment and reference landscapes. The first bird surveys for this project were conducted in spring/summer 2012, prior to any revegetation works commencing. In those surveys, 18 000 individual birds were recorded, and this involved walking nearly 500 km and driving about 13 000 km! The first surveys provide important baseline data of the presence and abundance of different bird species. This ‘baseline’ data will identify any pre-existing differences between landscapes to be accounted for when determining the effects of revegetation activities. We can then determine any changes in those landscapes over time and whether changes are related to revegetation.